There are 20 randomized Baby Shower Gifts Bingo cards. 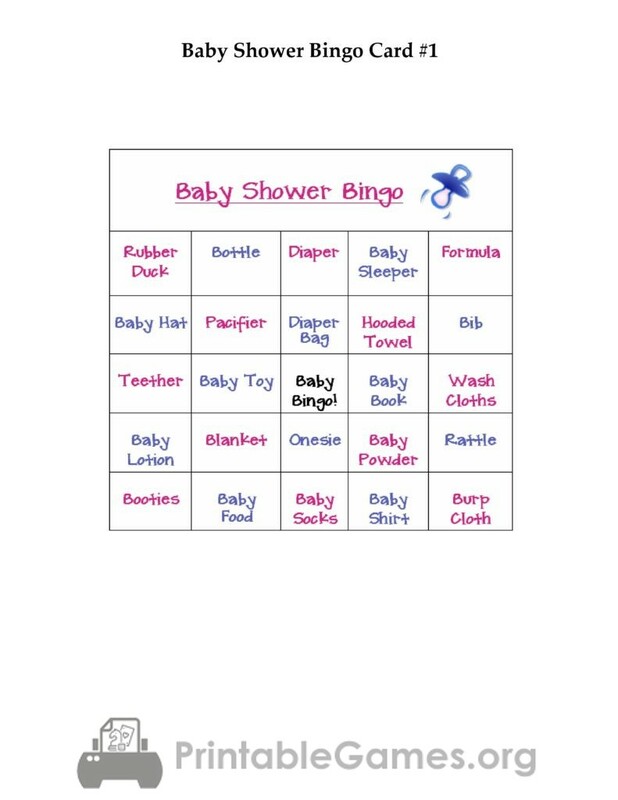 Download the PDF template for free and print your own Baby Shower Bingo Cards. The template is a mixture of Blue and Pink so there is no Gender reveal. These cards have baby shower gift names on them. Print all of the cards before the baby shower. Hand over one card to each of your guests. As the Mom-to-be is opening her gifts she will announce what she got. The guests have to strike that gift name from the baby shower bingo card. They win if they get 5 in a row, 5 in a column or 5 diagonal. You can have multiple gifts so you can keep playing till all the gifts are opened. Tip : Print these on hard paper and cut them out on their outline. Have fun!